A Quality Pest Control Pest Identification Guide will help you learn more about the most common household pests that can threaten your home. They became established in Southern California in early 2000. The first specimens were collected in Torrance in 2003 – They were found with greater frequency in Los Angeles, Orange, and San Diego counties. The color consists of a tan and brown with black accent marking. They have an orange shade hourglass on the bottom of their abdomens. The egg sac has multiple silk spikes projecting out from the surface. The female lays about 120 – 150 eggs per sac and produce 20 egg sacs over a lifetime. 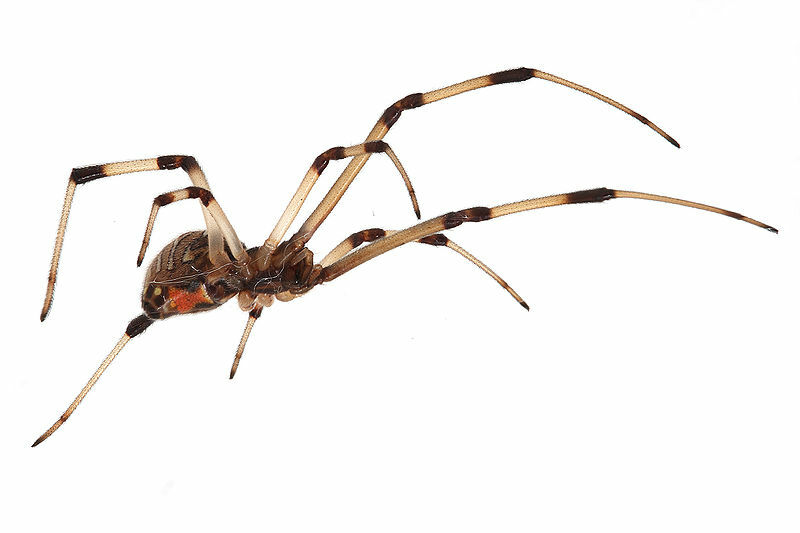 They build their webs in secluded and protected sites around homes, businesses, and in woody vegetation. The bite from this particular spider is not as severe compared to the Black Widow bite – A Brown Widow does not have the capability to inject as much venom compared to a Black Widow. The two major symptoms – 1) Pain from a bite. 2) A bite leaves a red mark. A small percent of humans require hospitalization. It is always an excellent idea to follow up with a licensed medical professional to evaluate your injury from a Brown Widow. 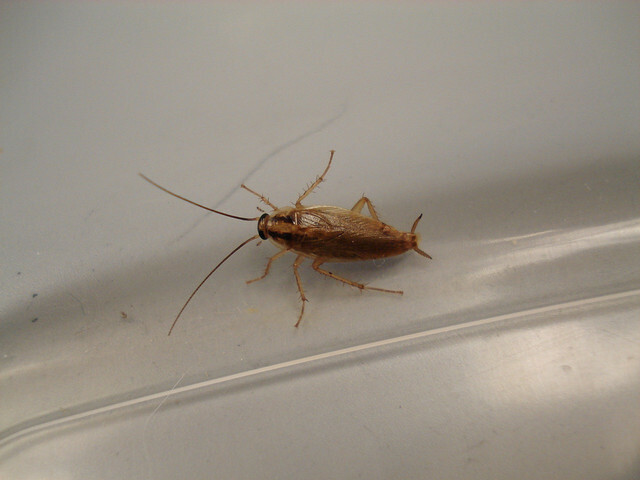 They have the capability to grow a population over 100,000 roaches in a year period of time. The color is brown with two dark streaks on the thorax. They are ½ inch in length. They have an incomplete life cycle (egg, nymph, and adult). 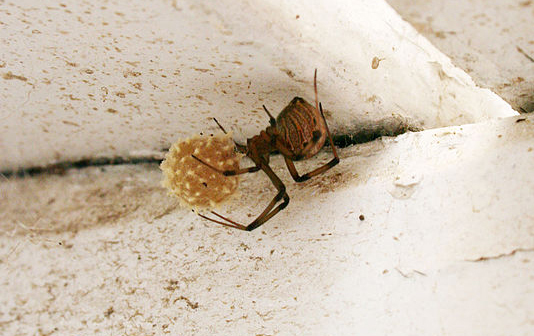 The female produces 4 – 8 egg capsules in a lifetime containing 30 – 40 eggs each. The eggs hatch within 3 – 4 weeks. The adults may live up to one year. They are nocturnal in habit – Their primary activity at night is to forage for food that humans consume. They prefer to hide in dark places (cracks, crevices, and voids) during the day. They can spread Dysentery, Typhoid, Gastroenteritis, Poliomyelitis (Polio), Leprosy, and Tuberculosis (TB). They are nocturnal foragers for the most part. They are black to slate colored on both back and belly. The length (tip of the nose to the end of the tail) ranges from 13 ¾ “ to 17 ¾ “. The tail is longer than the length of the head and the body combined. The litter size ranges from 4 to 10 young. Their sense of smell is very well developed. Their incisor teeth are very effective gnawing and cutting tools – They have the capability to gnaw through lead pipes, fresh concrete, soft and semi-hardened aluminum and other types of hard materials. They depend on their sense of smell and their gnawing tools to get to a food source. 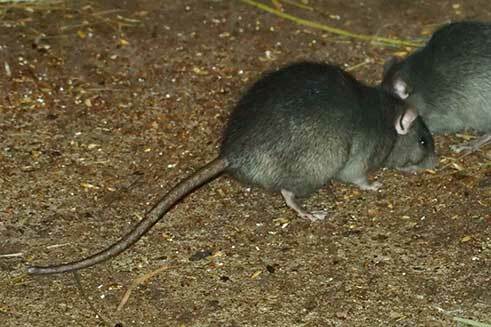 They can spread Murine Typhus, Rat-Bite Fever (RBF), Salmonella Enterica Serovar Typhimurium, Leptospirosis, and Eosinophilic Meningitis. 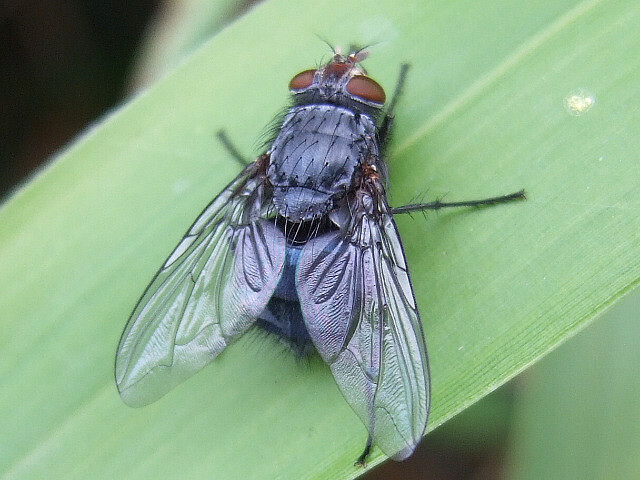 They are commonly referred to as “blow flies”. They are metallic blue or green sheen in color. The cause of their infestation is due to exposed garbage and/or dead animals (especially rodents). They are attracted to methane gas – This gas is given off by decaying animals and it is used as a fuel source for natural gas furnaces, stoves, and water heaters. They are highly active and fly around in a noisy fashion. The females lay up to 600 eggs during their two to three weeks of their lifetime. They can spread Tuberculosis, Parasitic Worms, Yaws, Trachome, and Cholera.